US President Donald Trump’s visit to Riyadh today, which marks the beginning of his foreign international activity, has caused great concern for Iran and all those associated with it. In this regard, nine senior officials from former US President Barack Obama’s administration wrote an article that was published on Politico’s website and addressed to Trump before his Riyadh visit. The nine officials warned that his visit to Saudi Arabia and its consequences would harm the nuclear deal (JCPOA) or the US involvement in Yemen, to satisfy the Saudis and Emiratis. We are all aware that this visit is important and it sends political messages to a number of parties in the region and beyond. 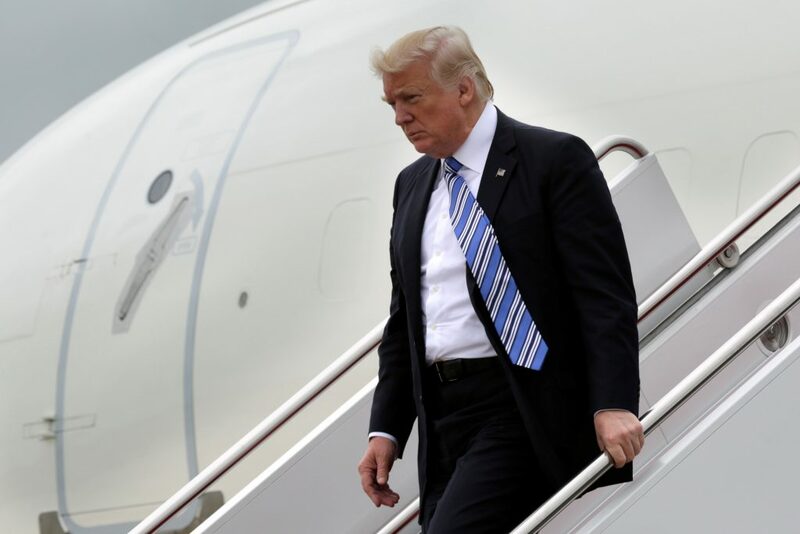 President Trump has also taken many steps that confirmed his seriousness and the political course he has set for the United States, which differs a lot from Obama’s. His latest action was the aerial bombing of Syrian forces and Iranian militias in the area near Jordan, limiting the movement on the borders and explicitly threatening the Syrian regime and Iran not to interfere in Jordan’s affairs. Before that, he has bombed al-Shayrat air base in an important message against the Syrian regime’s transgressions in using chemical weapons. The US side also corrected its policy in Yemen and started supporting Saudi Arabia and the coalition fighting the militias there. It carried out maritime inspections and resumed sending ammunitions. It also reorganized military intelligence cooperation in Yemen, which is very important to the coalition. However, this does not mean that the Gulf countries wanted to open a war against Iran or wanted the Western nuclear deal with it to be canceled, for one reason, which is that it is not in their interests, and they have already officially announced their stance. The problem that the nine officials know is that Iran took the United States hostage during Obama’s second presidential term, when Washington was keen on not angering the regime in Tehran so that it signs the nuclear deal. The result was that Iran spread militarily in Iraq, Syria, Lebanon and Yemen. The Obama administration lavished Iran with gifts for the sake of this agreement and at the expense of the security of the countries in the region. It has caused serious chaos and horrible tragedy, the worst in the region’s history. The writers warned Trump from angering Iran, especially that his visit to Riyadh coincides with the presidential elections there that could lead to the defeat of the “moderate” President Hassan Rouhani and the victory of his extremist rival Ebrahim Raisi. Although these former US officials contradicted themselves in the article by acknowledging that the elections may be rigged in favor of the extremist candidate, they are, at the same time, worried about Iran’s reaction from Trump’s visit to Riyadh. Iran is ruled by the Supreme Leader and the Revolutionary Guard and, therefore, it does not matter who wins the presidency. Remember that all the Iranian military deployment you witness and the unprecedented Iranian wars in the region have occurred in the era of the “moderate” Rouhani and under the supervision of the former US administration. Therefore, where is the presidential moderation in Tehran and what is the value of the many compromises Washington has done at the time? I believe that the current US administration can let Iran face the new reality. It can let it stop spreading chaos and violence in the region and the world. It should inform Iran that this will not only be positively met by the United States and the West, but also by the countries of the region and Iran’s neighbors. Without sending a clear message, Tehran will keep on spreading turmoil in the world, creating crises, supporting terrorist groups and attacking US allies. Iran has taken the region hostage and has blackmailed Washington for many years. It was rewarded in the end, but it did not stop its activities even after the hundred billion dollars, Boeing aircraft and the lifting of economic sanctions.